334 pages | 24 B/W Illus. The Cities of the Global South Reader adopts a fresh and critical approach to the fi eld of urbanization in the developing world. The Reader incorporates both early and emerging debates about the diverse trajectories of urbanization processes in the context of the restructured global alignments in the last three decades. Emphasizing the historical legacies of colonialism, the Reader recognizes the entanglement of conditions and concepts often understood in binary relations: first/third worlds, wealth/poverty, development/underdevelopment, and inclusion/exclusion. By asking: “whose city? whose development?” the Reader rigorously highlights the fractures along lines of class, race, gender, and other socially and spatially constructed hierarchies in global South cities. The Reader’s thematic structure, where editorial introductions accompany selected texts, examines the issues and concerns that urban dwellers, planners, and policy makers face in the contemporary world. These include the urban economy, housing, basic services, infrastructure, the role of non-state civil society-based actors, planned interventions and contestations, the role of diaspora capital, the looming problem of adapting to climate change, and the increasing spectre of violence in a post 9/11 transnational world. 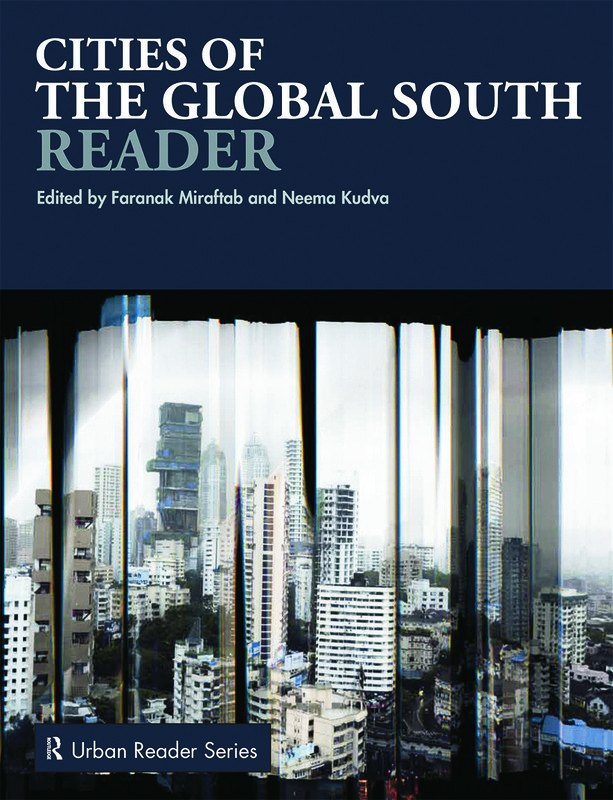 The Cities of the Global South Reader pulls together a diverse set of readings from scholars across the world, some of which have been written specially for the volume, to provide an essential resource for a broad interdisciplinary readership at undergraduate and postgraduate levels in urban geography, urban sociology, and urban planning as well as disciplines related to international and development studies. Editorial commentaries that introduce the central issues for each theme summarize the state of the field and outline an associated bibliography. They will be of particular value for lecturers, students, and researchers, making the Cities of the Global South Reader a key text for those interested in understanding contemporary urbanization processes. "Urban Lives: Stories from Tehran"
"World Cities, or a World of Ordinary Cities?" "The Urbanity of Movement: Dynamic Frontiers in Contemporary Africa"
"Migration and Privatization of Space and Power in Late Socialist China"
"Anchoring Transnational Flows: Hypermodern Spaces in the Global South"
"International Policy for Urban Housing Markets in the Global South since 1945"
"The Suburbanization of Jakarta: A Concurrence of Economics and Ideology"
"Environmental Problems of Third World Cities: A Global Issue Ignored?" "Victims, Villains and Fixers: The Urban Environment and Johannesburg’s Poor"
"Formalizing the Informal? The Transformation of Cairo’s Refuse Collection System"
Pedestrian Accessibility is the First Step"
"Kinshasa and Its (Im)material Infrastructure"
"‘Going South’ with the Starchitects: Urbanist Ideology in the Emirati City"
"Disruption by Design: Urban Infrastructure and Political Violence"
"Climate Dangers and Atoll Countries"
"Deep Democracy: Urban Governmentality and the Horizon of Politics"
"The Citizens of Porto Alegre"
"Global Mobility, Shifting Borders and Urban Citizenship"
"Cyberactivism and Citizen Mobilization in the Streets of Cairo"
Faranak Miraftab is Professor in the Department of Urban and Regional Planning at the University of Illinois, Urbana-Champaign, where she teaches on globalization and transnational planning and coordinates the department’s international programs and activities for its undergraduate and graduate degree programs. Miraftab’s research concerns the global and local contingencies involved in the formation of the city and citizens’ struggle to access urban space and socio economic-resources. Neema Kudva is Associate Professor in the Department of City and Regional Planning at Cornell University. She directs the International Studies in Planning Program (ISP) and is faculty lead of the Nilgiris Field Learning Center, a collaborative interdisciplinary project of Cornell University and the Keystone Foundation, India. Kudva’s research is in two areas: the institutional structures that undergird planning and development at the local level, and contemporary urbanization, particularly issues related to small cities and their regions. This exciting series responds to the need for comprehensive coverage of the classic and essential texts that form the basis of intellectual work in the various academic disciplines and professional fields concerned with cities. The readers focus on the key topics encountered by undergraduates, graduates and scholars in urban studies and allied fields, the contributions of major theoreticians and practitioners and other individuals, groups and organizations that study the city or practise in a field that affects the city. As well as drawing together the best of classic and contemporary writings on the city, each reader features extensive general, section and selection introductions prepared by the volume editors to place the selections in context, illustrate relations among topics, provide information on the author and point readers towards additional related biographic material.